EUROPE | In a shock for Sky, the pan-European pay TV company has lost the rights to show English Premier League football in Germany and Austria from 2016/17. The rights have gone to London-based sports media company Perform Group, who, at the same time, have also been awarded non-exclusive Premier League rights in Switzerland and Luxembourg. It means viewers in these Central European countries are likely to have to subscribe to a web-based service to watch live streams of the action. Perform Group owns Spox.com, which already offers live streams of sporting events to viewers in Germany. That's because the new rights holders don't operate a traditional TV channel. 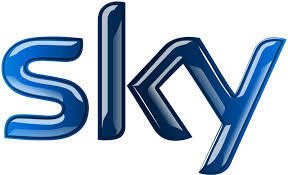 Sky operates pay TV services in the UK, Ireland, Germany, Austria and Italy. Earlier this year, Sky secured non-exclusive Premier League rights for the UK and Ireland for another three years, with BT Sport taking the remainder of the matches. Makes you wonder who might step in next time round in the UK and Ireland. Sky Deutschland has a new logo, the same like UK one. Correct this.